Trump derangement syndrome strikes again with another member of the tolerant left. Agree with them and their views or you’re a racist! …and the trigger this time, again, is a hat. They always lose their sh*t over a hat. You know Trump’s “Make America Great Again” hat. A normal mentally stable person would see something they dont agree with and continue on about their day like an adult. But for some reason anytime a liberal sees a trump hat its like kicking a box of nitroglycerin. They just EXPLODE for no reason often resorting to screaming, kicking punching, or even spitting on the person whose views or apparel do not align with theirs. Lets be clear. There are absolutely no racist connotations associated with the hat let alone the president. But you know since its an opposing viewpoint that’s their only argument. That or trump supporters are misogynist, or fascist, the list of trigger-words goes on. It would seem that they (the left) only agree with first amendment rights when it aligns with their own beliefs. Well in San Francisco, California it happened again! According to Yahoo a President Trump supporter was assaulted in a post office for wearing a “Make America Great Again” hat, turning a camera on her harasser. …and here the case is no different. 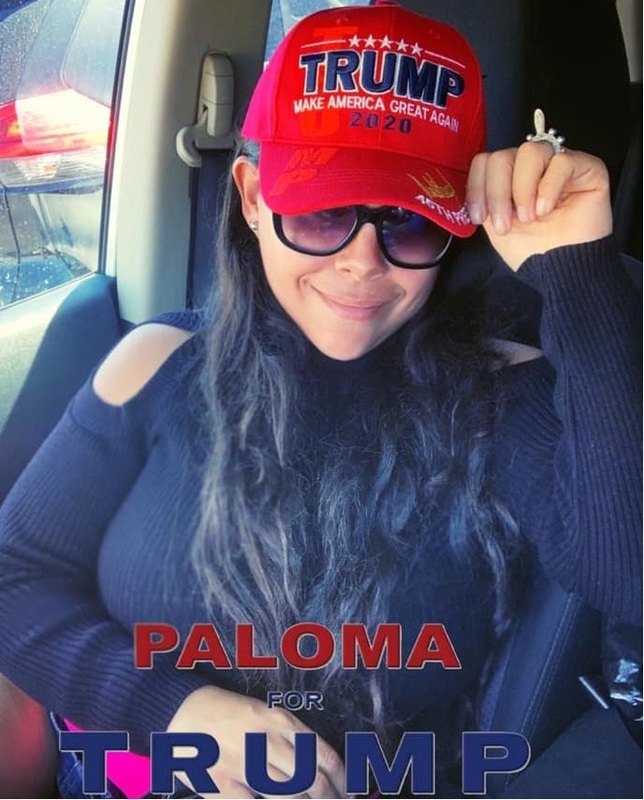 The Snowflake has a meltdown assaulting Paloma. However, by the time the police arrived the snowflake had fled the scene. This seems to be a growing trend with more and more occurrences appearing around the web. If you remember awhile back we covered the Vape Shop Employee who couldnt stop screaming at a trump supporter like a toddler which ultimately cost him his job! Thankfully employers even if they are on the other side of the political fence are dealing with employees who do not know how to act within a professional environment. Adams Arms Forced to Auction by Creditors!